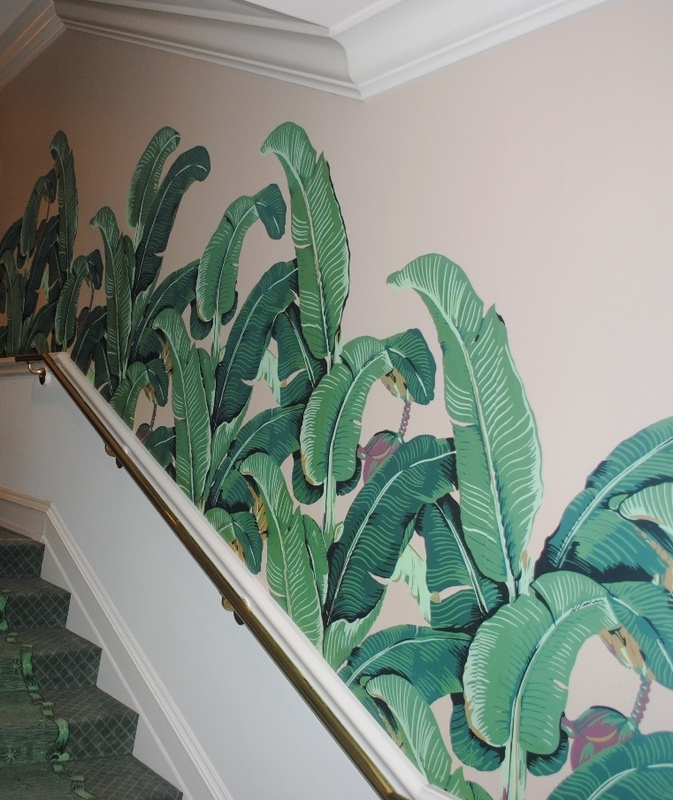 I spent a week in July at the beautiful Greenbrier Hotel in West Virginia. 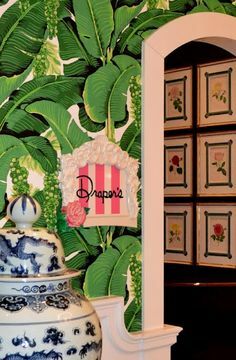 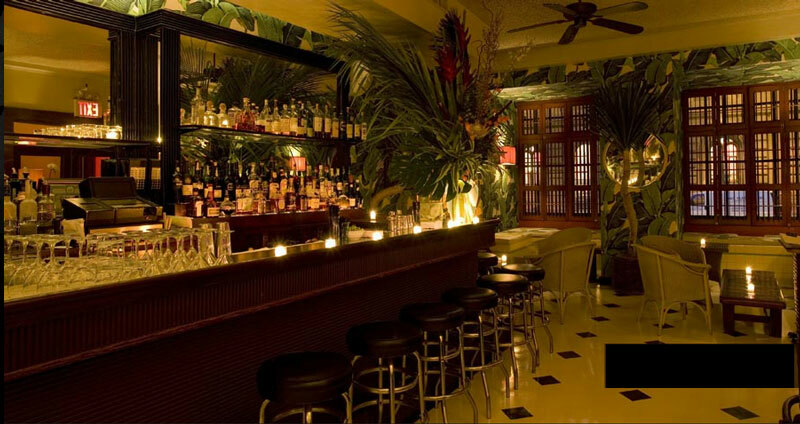 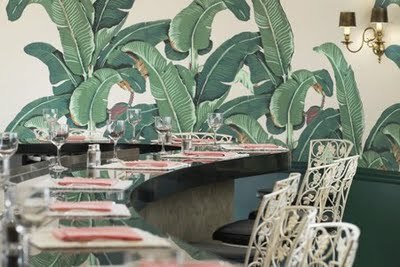 One of their main foyers has the classic Martinique wallpaper that decorates the Beverly Hills Hotel and Indochine. 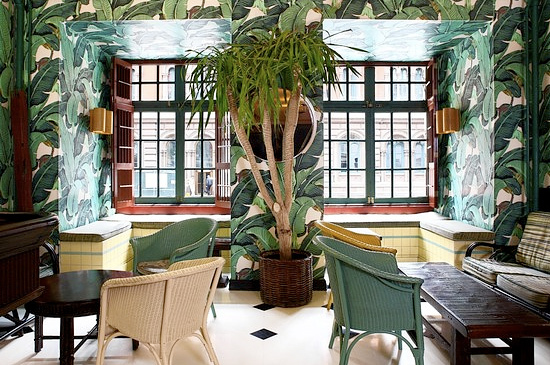 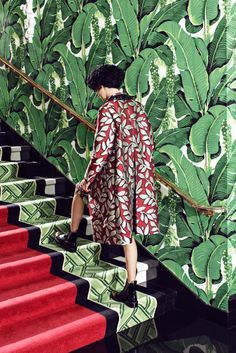 Green is my favorite color, and I love fun plant patterns, so I am currently obsessed with recreating this look for myself. 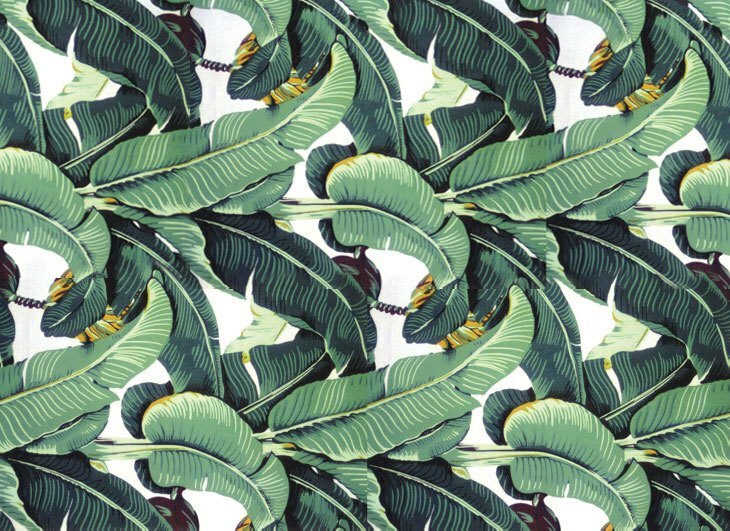 Even a small panel with this wallpaper could totally transform a space into a lighter, brighter paradise.